Cyber crimes have become the latest trends with attackers always finding a scope to control your data. Data encryption is a protection process which makes your data unreadable with the help of encryption software. With the usage of high-level algorithms, the original text is converted into ciphertext. A secret key is necessary to decrypt the encrypted data. Most of the organizations use this method to protect their important databases, email archives, and other essential information. But it might happen that the tools or software you are using for encryption procedure is undergoing technical breakdown. In that case, it is important for you to understand the usage of such software. Is your encrypted data inaccessible? Need help? Contact our experts in Dubai to enjoy services for encrypted data recovery. It is always wise to consult an expert rather than tolerating these issues. 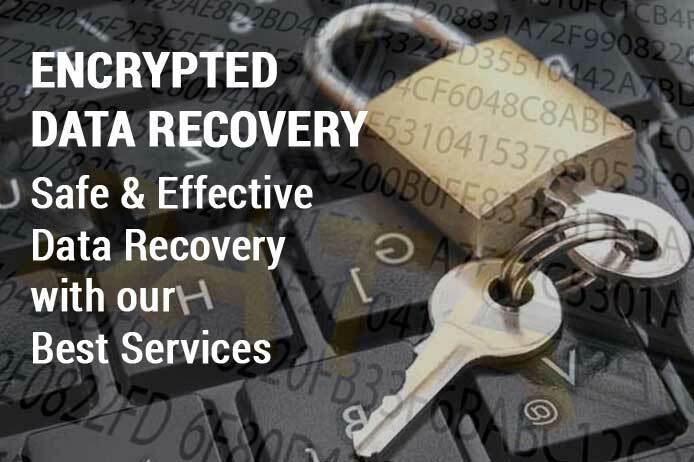 Avail encrypted data recovery services from our team of professionals. Detailed diagnosis: Our team analyzes the media to provide you with efficient plans for encrypted data recovery process. Depending on the type of encryption software you are using, we provide you with easy recoverable solutions. Instant physical and logical repairs: If necessary, we repair hard drives, tape cartridges, other media, etc. Besides, we treat corrupted and deleted data with specialized hardware or software encryption utilities. Return recovered data: We do not waste your time after we have recovered your data. After the process of recovery, we make sure that your data is free from all threats. If you want reliable services for encrypted data recovery, contacting us at our helpline number is mandatory. Besides, you can drop an email or message us. Trust us and stay in touch to restore your lost data.